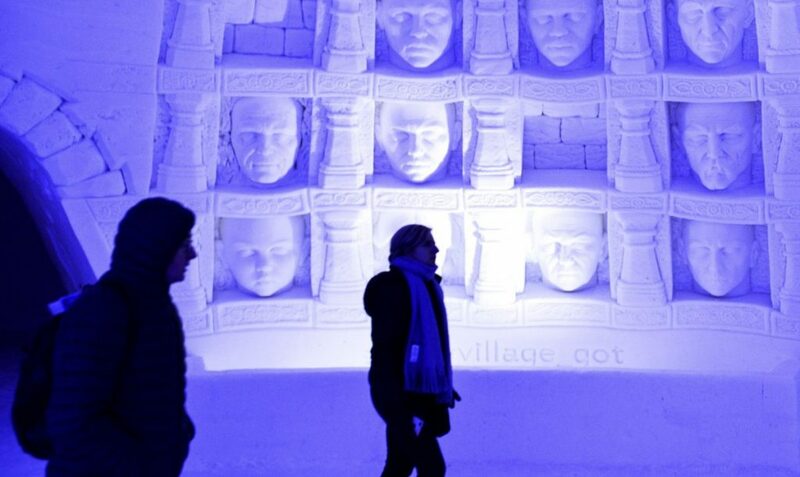 A 'Game of Thrones'-themed ice hotel opens in northern Finland. HELSINKI — A “Game of Thrones”-themed ice hotel complete with a bar and a chapel for weddings has opened in northern Finland in a joint effort by a local hotel chain and the U.S. producers of the hit TV series. Lapland Hotels said Friday they chose “Game of Thrones” to be the theme for this season’s Snow Village, an annual ice-and-snow construction project covering 24,000 square yards in Kittila, 93 miles above the Arctic Circle. Snow Village operations manager Janne Pasma told Finnish national broadcaster YLE that he was a huge fan of the series and it was “a dream come true” that HBO Nordic agreed to go along with his team’s initiative. HBO Nordic spokeswoman Nina Palmroos said “Game of Thrones” fans from all over the world have been “completely overwhelmed” by the hotel. The hotel, which stays open until April, suggests that guests stay only one night because of below-zero temperatures.